penang church bombed! – welcome! You are here: Home › general › penang church bombed! 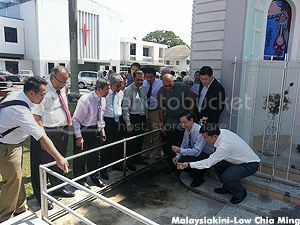 photo showing the CM and other state officials looking at the 'burnt' ground in front of the our lady shrine of the church of the assumption..
that's right, penang! 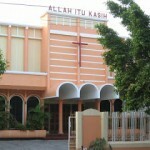 penang, malaysia, my hometown!… and the church which i goes to! the church of the assumption (under city parish) is the church i attends regularly when i was staying in georgetown (before year 2000). after 2000 when i moved out of georgetown, i still attends it but not regular. therefore you can imagine my shock when i read that somebody had thrown two molotov cocktails (petrol bombs) into the church. the church of the assumption is one of UNESCO's world heritage icon. it is over 200 years old. it's location is strategic, walking distance from the ferry terminal and komtar and near to landmarks like the state museum, the penang high court. it is located on the main road of farquhar street, which, i suppose, made it easy target for motorists to zoom by and throw the molotov cocktails. this incident happened on 26 jan (monday) at about 1.30am. 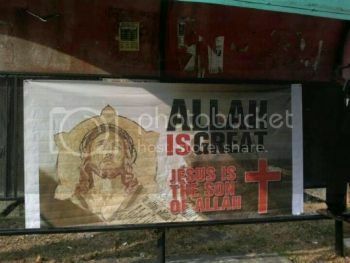 a day prior to this incident, there was another incident, when a provoking 'allah' banner (photo below) was found hanging in front of the church. this banner was found not only at the church of the assumption but also at four other churches, one of which, church of st john britto, which, like church of the assumption, is also part of city parish. years back, after the high court had ruled in favour of the catholic paper, herald, for the use of 'allah', incidents of church burning also happened, especially in the state of selangor. now, it is the state of penang. selangor and penang are two states ruled by the pakatan rakyat (PR) government and not the federal government of barisan nasional (BN). is this a co-incidence? why is it ever since 2008, when PR won big and captured selangor and penang (among others), suddenly lots of 'problems' like these incidents, touching on race and religion happens? hmm….i know, we shouldn't speculate but sometimes the facts are there staring at us, so we can't help but speculate. these two incidents happened because of the allah issue and you have already seen (er… read) how i feel towards this issue in my part 1 and part 2 stupidity posts, so you can guess my 'speculation'! obviously the controversial provoking 'allah' banner found at the 5 churches, couldn't be done by the christians themselves! they wouldn't be that stupid (stupid is as my stupidity posts said so… ). beside someone remarked that the banner which read 'allah is great. jesus is the son of allah' sounds familiar… the kind that malays NGO like perkasa or umno supporters will do (especially the 'allah is great'). you'll notice at their protests, they'll be holding banners with 'allah akbar!' which means 'allah is great'. oops. i'm not speculating this time but it was what someone commented in one of the online media. this is very sad. what has our country become? church (or any place of worship – any religion) being bombed is a very serious matter. very serious indeed. what is putrajaya (federal government) doing about it? what is the police doing about it? is there really a threat of racial/religious tension arising in our country? oh excuse me, the tension is already there, so i should ask – is there a possibility of – touch wood for saying it – racial/religions riot happening? i would hope not, allah help me, no, don't let it happen – BUT that also remains to be seen on how our government and the authorities act. 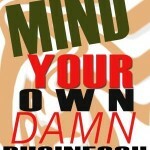 in the meantime, of course we christians won't retaliate as we know this is what THEY want us to do. oh well, we will 'retaliate' in our own ways – through prayers! already so far, i'm aware that the shalom working youth group is organsing an intercessory prayer today at 8.00pm. that is a start. 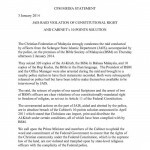 if you want to read further on this issue and others related to it, go to the malaysian insider – lots of interesting articles/reports there. oh and some photos can be seen at the bulletin mutiara (state government bulletin) facebook page. One Response to "penang church bombed!"